The victors of war write its history in order to cast themselves in the most favorable light. 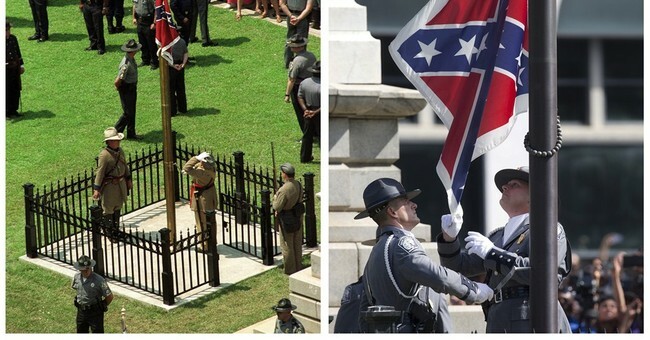 That explains the considerable historical ignorance about our war of 1861 and panic over the Confederate flag. To create better understanding, we have to start a bit before the 1787 Constitutional Convention in Philadelphia. The 1783 Treaty of Paris ended the war between the colonies and Great Britain. Its first article declared the 13 colonies "to be free, sovereign and independent states." These 13 sovereign nations came together in 1787 as principals and created the federal government as their agent. Principals have always held the right to fire agents. In other words, states held a right to withdraw from the pact -- secede. During the 1787 Constitutional Convention, a proposal was made that would allow the federal government to suppress a seceding state. James Madison rejected it, saying, "A union of the states containing such an ingredient seemed to provide for its own destruction. The use of force against a state would look more like a declaration of war than an infliction of punishment and would probably be considered by the party attacked as a dissolution of all previous compacts by which it might be bound." In fact, the ratification documents of Virginia, New York and Rhode Island explicitly said they held the right to resume powers delegated should the federal government become abusive of those powers. The Constitution never would have been ratified if states thought they could not regain their sovereignty -- in a word, secede. On March 2, 1861, after seven states seceded and two days before Abraham Lincoln's inauguration, Sen. James R. Doolittle of Wisconsin proposed a constitutional amendment that read, "No state or any part thereof, heretofore admitted or hereafter admitted into the union, shall have the power to withdraw from the jurisdiction of the United States." Several months earlier, Reps. Daniel E. Sickles of New York, Thomas B. Florence of Pennsylvania and Otis S. Ferry of Connecticut proposed a constitutional amendment to prohibit secession. Here's a question for the reader: Would there have been any point to offering these amendments if secession were already unconstitutional? Both Northern Democratic and Republican Parties favored allowing the South to secede in peace. Just about every major Northern newspaper editorialized in favor of the South's right to secede. New York Tribune (Feb. 5, 1860): "If tyranny and despotism justified the Revolution of 1776, then we do not see why it would not justify the secession of Five Millions of Southrons from the Federal Union in 1861." Detroit Free Press (Feb. 19, 1861): "An attempt to subjugate the seceded states, even if successful, could produce nothing but evil -- evil unmitigated in character and appalling in content." The New York Times (March 21, 1861): "There is growing sentiment throughout the North in favor of letting the Gulf States go." The War of 1861 settled the issue of secession through brute force that cost 600,000 American lives. We Americans celebrate Abraham Lincoln's Gettysburg Address, but H.L. Mencken correctly evaluated the speech: "It is poetry, not logic; beauty, not sense." Lincoln said the soldiers sacrificed their lives "to the cause of self-determination -- that government of the people, by the people, for the people should not perish from the earth." Mencken says: "It is difficult to imagine anything more untrue. The Union soldiers in the battle actually fought against self-determination; it was the Confederates who fought for the right of people to govern themselves." The War of 1861 brutally established that states could not secede. We are still living with its effects. Because states cannot secede, the federal government can run roughshod over the U.S. Constitution's limitations of the Ninth and Tenth Amendments. States have little or no response.